The specific origin of reflexology remains unclear but it is generally believed that its roots date as far back as 5000 years ago in China. By approximately 2500 BC Chinese physicians divided the body into longitudinal meridians (now the basis of acupuncture). The working of pressure points on the feet to restore balance and energise the body was acknowledged as far back as 1017 AD by Dr Wang Wei – a physician who gave specific attention to the feet for these reasons. Evidence has been found to suggest the practice of reflexology in Egypt, as depicted in the pictograph found in a physician’s tomb in Egypt. However, it is particularly the American influence to which modern reflexology is accredited. Dr William Fitzgerald, known as the founder of Zone Therapy, divided the body into 10 longitudinal zones. Each zone linked parts of the body within that zone. 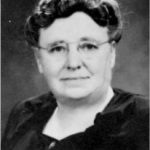 Although Dr Fitzgerald’s work was continued and further developed by a Dr Riley, it was his assistant, Eunice Ingham, who made the greatest contribution to modern reflexology.Ingham, a physiotherapist, discovered that, by applying pressure to particular points across the soles of the feet, she was able to stimulate and help heal the body, rather than provide only pain relief. Through her work, Ingham developed a ‘map’ of the whole body on the feet. 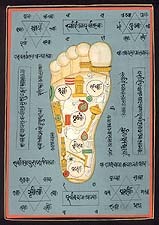 Out of this was born the teaching and practice of reflexology as a helping profession. Reflexology is based on the principle that every organ in the body is reflected in certain areas or reflexes of the feet, hands, and ears. By using various finger, thumb and hand pressure techniques on these reflexes, the natural healing potential of the body is promoted. Therapeutic Reflexology (a treatment offered by a professional reflexologist) today encompasses a broad understanding of both the ancient as well as the more recent systems of health. An understanding of these various systems of health acknowledges wellness as a balance of emotions, physical health, intellectual wellbeing as well as spiritual wholeness. 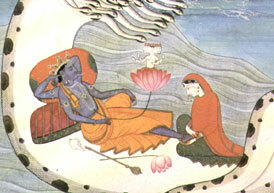 Illnesses and dis-eases, therefore, are understood as imbalances in the body on one or a number of these levels. 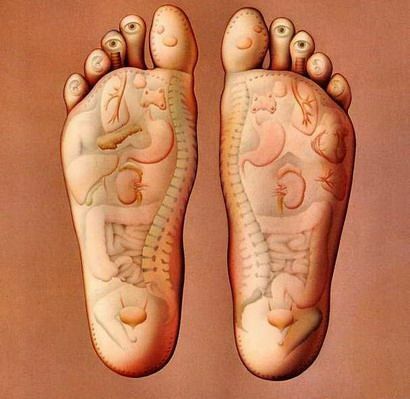 The benefits of a professional reflexology treatment are numerous. The deep relaxation of the body, following a treatment, facilitates, amongst other things, improved blood circulation and nerve supply to all parts of the body; more effective elimination of toxins and waste products; and increased oxygen levels. Tension, stress and anxiety are relieved and the body is assisted to maintain a state of homeostasis or balance. The Board offers individuals an opportunity to enjoy the stimulating effects of reflexology massage in the privacy and convenience of one’s own home, by simply walking on it on a daily basis. In America, this has come to be known as “cobblestone walking”! Against the pressure of one’s own body weight, the specific design of the Board ensures a massage-like pressure on the reflex positions on the soles of the feet. While the Board cannot perhaps be expected to replace a ‘hands-on’ professional treatment, you are able to massage the entire bottom area of the feet, representing the head, thorax, abdomen, spine and pelvis. With more than 7000 nerve endings in the feet, regular use of the Board will stimulate nerve functioning, thereby improving a number of bodily responses. Improved circulation and enhanced energy-flow, which both support better elimination of waste substances and toxins, can be anticipated. Needing only 10-15 minutes daily, the Reflex-o-Board is quick and easy to use – a very convenient addition to support healthy lifestyle choices!